CIMSEC and The Atlantic Council’s Art of the Future Project are teaming to host a Fiction Contest on Autonomy and Future War. This contest will explore the nuances of unmanned naval systems employed in combat or crisis through creative fiction. Final Judges August Cole, Larry Bond, and Peter Singer will select one Grand Prize winner and one Runner-Up Prize winner. The Grand Prize winner will receive a cash prize of $500, while the Runner-Up will be awarded a cash prize of $250. A selection of outstanding entries will publish on CIMSEC beginning the week of October 31 with the winners announced on Monday, November 7. Autonomy and unmanned systems are increasingly present in today’s Navies – from assets acting in a surveillance, monitoring, or intelligence collection capacity like Northrop Grumman’s MQ-4C Triton and Hydroid’s REMUS, to low-crew combatants like the Zumwalt-class destroyer which operates with 147 sailors. The rapid pace and development of technologies such as machine learning algorithms indicates that unmanned systems will be able to take on an increasingly decisive role in future conflicts. How will more advanced autonomous and unmanned systems shape the future of naval forces – and what unique challenges will autonomous systems present for future Navy leaders? Possible topics include (but are by no means limited to) the nature of military leadership in an age of Artificial Intelligence (AI), the ethical challenges of incorporating increasingly capable and automated systems, unique strategic or operational options, challenges, and scenarios afforded to warfighters by unmanned systems, limits or adjustments to Rules of Engagement, and the benefits and challenges associated with delegating authority to unmanned systems across varying degrees of autonomy. In addition, authors may wish to explore how unmanned systems will change shipboard life. 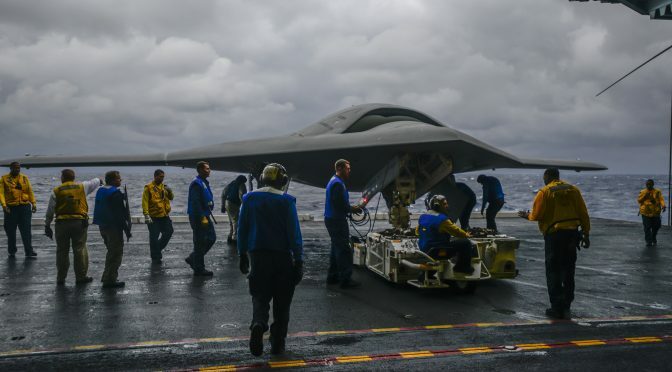 While the topic of unmanned systems in combat is truly broad, entries should focus on human dynamics such as interactions between warfighters and autonomous systems whether in terms of leadership, shipboard life, decisionmaking, and imposed limits on unmanned systems. Authors should feel free to be creative in their submission. Formats such as traditional narrative fiction, Captain’s logs, after action reports, and visual art/media are acceptable. Submissions should be no less than 2,000 words and no more than 5,000 words. Authors should submit their work via e-mail to nextwar@cimsec.org and must be received no later than October 21. Submissions must be final drafts and will not receive editorial support from CIMSEC or the Atlantic Council other than basic formatting for finalist submissions publishing during the week of October 31. The Fiction Contest will feature in place of a monthly CIMSEC topic week for the month of October. Questions and concerns can be directed to Sally DeBoer at president@cimsec.org. Editor’s Note: This contest has since concluded and writings submitted into response to this call for articles may be viewed here. Sally DeBoer is currently serving as the 2016-2017 President of CIMSEC. She can be reached at president@cimsec.org. August Cole directs the Art of the Future Project at the Atlantic Council’s Brent Scowcroft Center on International Security. He is a non-resident fellow at the Modern War Institute at West Point. He is also writer-in-residence at Avascent, an independent strategy and management consulting firm. A former reporter for the Wall Street Journal, he is the co-author with Peter W. Singer of Ghost Fleet: A Novel of the Next World War.